Technology is playing a growing role in postsecondary education. 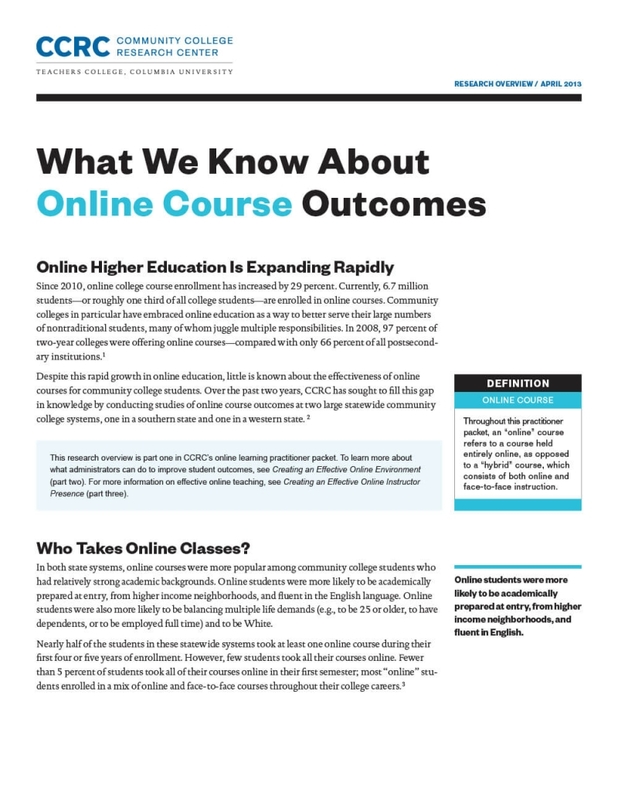 Our research examines the structure and design of online instruction and its impact on the persistence and completion rates of community college students. Book Review: "Higher Education in the Digital Age"